Lamar Community College Foundation is proud to celebrate over forty-five years of supporting LCC students and the College. 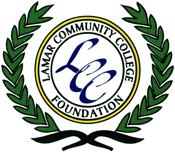 Originally established in 1973 as the Lamar Community College Development Corporation, the Foundation renamed itself in 1977 to align more closely with the college. Investing in the college and its students can pay dividends well into the future. As a 501(c)3, it receives donations on behalf of the College. Its funding priorities include scholarships, capital construction projects, program development, and other initiatives critical to the college. Wondering what the LCC Foundation has been up to lately? 2017 LCCF Report. Please consider including Lamar Community College in your estate plan. For more information, consult your financial advisor or call the LCC Foundation Office. Your support is vital to the continued strength of the college. Make an online contribution via ColoradoGives.org or mail it to the Lamar Community College Foundation at 2401 S. Main Street, Lamar, CO 81052. 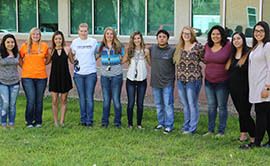 The LCCF has a long history of investing in scholarships for worthy students. That tradition continues with its flagship Presidential Scholarships and numerous others; learn more on our Scholarships page. Cash contributions to the Foundation designated for capital improvements and program development may be eligible to receive an additional 25% Colorado tax credit through its certified Colorado Enterprize Zone (EZ) contribution project. The LCC Foundation has created a new event to showcase its accomplishments and introduce its scholarship recipients while raising funds for a worthy cause. Held in October, Boots, Bling & Blessings is a great opportunity to learn more about the work of the Foundation and invest in the college’s future. For more information, contact the LCC Foundation office at 719.336.1520. Sign up for college news and information about friends!